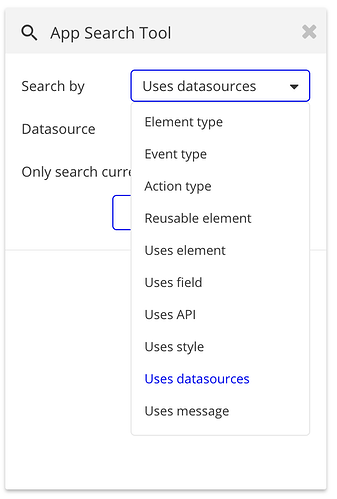 Searching by datasources will turn up all elements that use a given datasource (such as “Current user”, “Do a search for”, “Get data from an external API”…). Results might be page elements, workflow items, or events. Messages are selectors used to get specific properties of a piece of data: if a field loads “Current user’s email”, “Current user” is the datasource and “'s email” is the message. 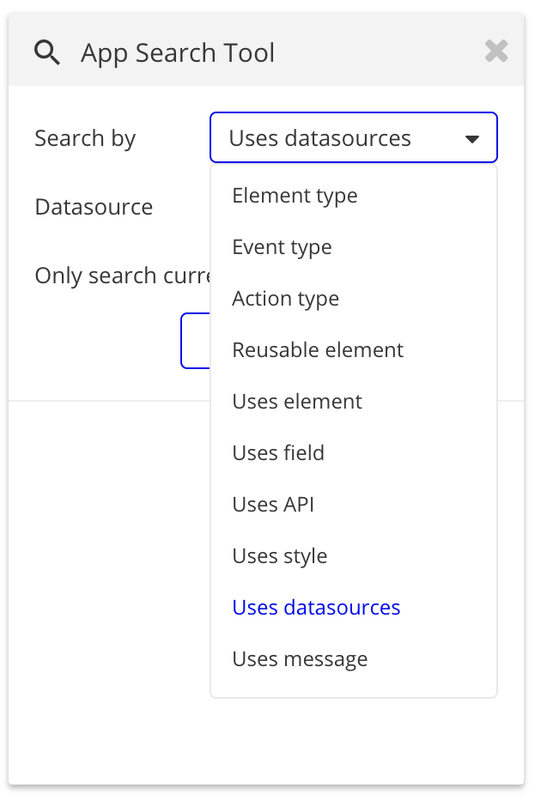 Since messages are specific to specific data, to search the app by messages you first select the relevant data type (user, text, number, yes/no), and then the specific message (is, is not, contains, etc). Once again, searching by messages will turn up any component of your app that uses that message. 10/08/18 Bubble Update - What Exactly does it mean?